Anadolu Efes Istanbul: Brock Motum and Metecan Birsen will not play against Milan. AX Armani Exchange Olimpia Milan: Arturas Gudaitis will miss the rest of the season with knee injury. Buducnost VOLI Podgorica: Aleksa Ilic and Nikola Ivanovic remain out long-term with knee injures. 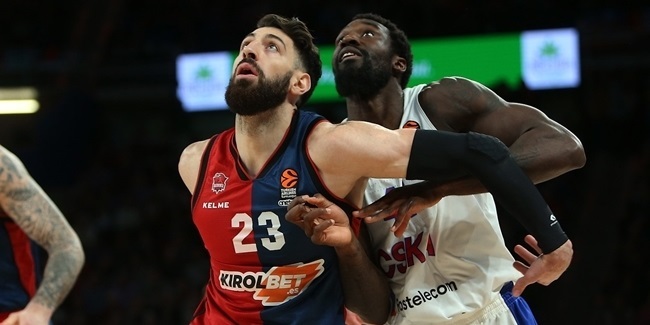 CSKA Moscow: Mikhail Kulagin is out indefinitely following foot surgery. Darussafaka Tekfen Istanbul: Markel Brown is out with a finger injury. FC Bayern Munich: Devin Booker continues to rehabilitate after surgery to his left ankle. Herbalife Gran Canaria: Eulis Baez (calf), Anzejs Pasecniks (ankle), Luke Fischer (shoulder), Xavi Rabaseda (knee) and Kim Tillie (knee) will not play this week. Khimki Moscow Region: Charles Jenkins will not be playing against Barcelona. Anthony Gill is not expected to play again this season due to a hip injury. Alexey Shved, Egor Vialtsev and Stefan Markovic did not travel to Barcelona. KIROLBET Baskonia Vitoria-Gasteiz: Jayson Granger is recovering after an ankle surgery and Matt Janning remains sidelined, too. Patricio Garino is back to action. Maccabi FOX Tel Aviv: Jake Cohen is out due to ankle injury. 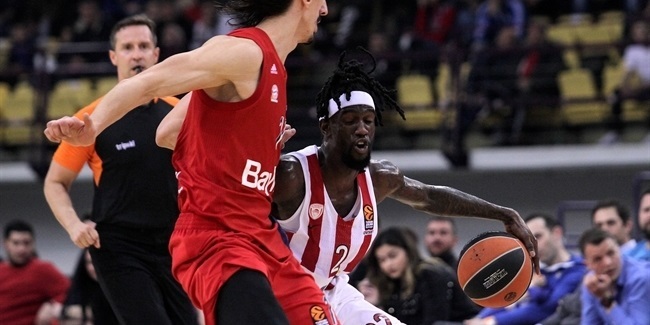 DeAndre Kane is back with the team ready to play against Fenertbahce. Olympiacos Piraeus: Janis Strelnieks is still out due to a foot injury and Vassilis Spanoulis will miss the rest of the season. Panathinaikos OPAP Athens: Panathinaikos guards Nikos Pappas (knee) and Matt Lojeski (biceps) are out indefinitely. Real Madrid: Gabriel Deck, Sergio Llull, Rudy Fernandez and Anthony Randolph are all doubtful for the game against Zalgiris. Zalgiris Kaunas: Paulius Jankunas remains sidelined with injury. The following injuries have been confirmed by Turkish Airlines EuroLeague clubs prior to the start of Round 29. We come off a strong Round 28, in which three road warriors picked up really important wins that had a big impact in the standings.